Thane’s member of Parliament Rajan Vichare said on Saturday work on the long awaited 15-km elevated road project from Airoli to Katai Naka will begin within three months. The project is expected to cut down the distance between Kalyan-Dombivali and Navi Mumbai by 7 km. Currently, the commuter needs to take a detour from Mahape or Thane, which adds to the travel time on the congested stretch. Vichare said, “It (the elevated road) will be convenient for commuters and is being built following public demand. Work on the first phase of the road will begin within three months.” He added, “Along with Kalyan and Dombivali, this road will benefit the residents of Ulhasnagar, Ambernath and Badalapur too.” The Mumbai Metropolitan Region Development Authority (MMRDA) is constructing the elevated road at an estimated cost of Rs 385 crore. The MMRDA has finalised the plan to connect Airoli in Navi Mumbai to Kalyan via a tunnel cutting through the Parsik hill. 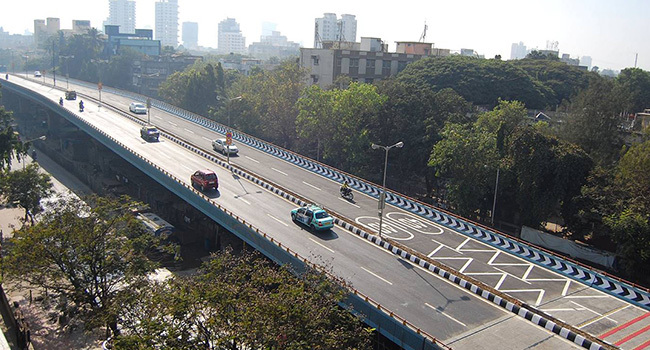 In the first phase of the project, which had been in a limbo for the last few months, MMRDA will construct an elevated road of about 900 metres. The MMRDA had earlier floated tenders for the starting phase of the project. Additional Metropolitan Commissioner Sanjay Khandare said, “The work will start as the contract will be given. In the first phase of the project, the MMRDA will construct an elevated road or flyover measuring 1 km, along with a 1.5-km tunnel under Parsik hill.” The three-lane elevated road will be constructed between Bharat Bijlee and Siemens factory, running parallel to the Airoli railway station. The four-lane tunnel will start from Siemens factory and go all the way up to Shil Phata. An MMRDA official said the project was delayed as they were awaiting approvals from the MIDC as the project passes through land occupied by two companies in the MIDC area. A consultant was also appointed for getting forest clearances, which officials hope to get soon, sources said. This article first appeared on the The Indian Express.